In this article, I want to show you exactly how to find an excellent Chinese manufacturer, someone that would really be your business partner and help make you tremendously successful. You see, there is a massive, massive difference between private label sellers when it comes to the actual products they sell. Most people are not aware of this but there’s pretty much an epidemic of poor-quality private labels out there. And you really don’t stand a chance of being very successful long-term in building a great brand unless you know how to find the best products and get them at the best prices. There’s really only one way to make that happen in China, and that is not through Alibaba. This is what I’m going to show you in this article. I’m also going to show you some really cool stuff on outsourcing data research, and the most important number of all when it comes to sourcing. I’ll also show you how to do product projections, which is something I promise you haven’t seen before. So this is going to be an awesome article for you, and I’m excited to share it with you. 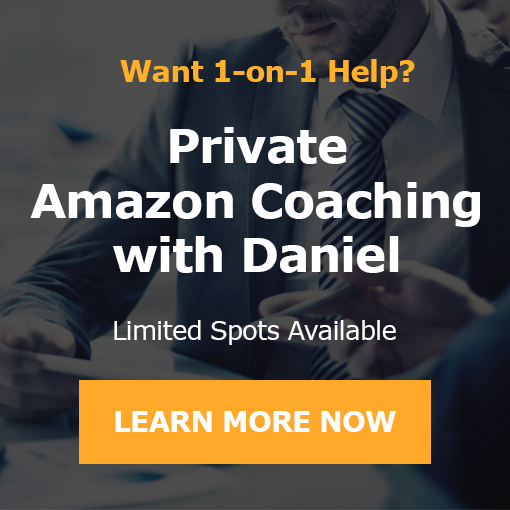 And this is actually a part of our free Amazon crash course (get immediate access here) that we created recently so I think you’ll get a lot out of this. Now let me show you exactly how this works. Part two of identifying the product (see part one here) is now Element C, which is sourcing data research. We do this after we have validated our product idea. We want to go and actually reach out to some suppliers and collect some data, like sourcing data, so that’s why we call this sourcing data research. We want to reach out to a bunch of suppliers, and I’ll talk about the best way to do this here in a bit. You can do this yourself through Alibaba or domestically, like locally through the phone or email. There are many ways to do this. [+] Do you private label? Of course, if they do not private label, then you can cross them off the list. [+] What’s the cost per unit, or CPU? You just collect it at this point. You don’t do anything with it. You just ask, “What’s your cost per unit for this product?” and you write it down. Now usually, the CPU will be different based on the quantity you’re looking to order. So they’ll ask you, “How much are you looking to order?” That’s where your next question comes in. [+] What’s the minimal order quantity, or MOQ? Now, with full private labeling (which I don’t suggest you actually do right away), the MOQ is usually about 300 units, but this means that they will produce a product for you with a new production run. They will literally put the name of your brand on the actual product itself. This simply means that for the manufacturer, they must have a MOQ, because they couldn’t just do it for five units. It would just be a total waste of time, money and resources for them. That’s why they have a MOQ. Regardless, because this is just research at this stage, you want to ask what the MOQ is for a full private label, and then what the cost is per unit at that MOQ. Then it would be helpful to see, for example, if I order a thousand units, what’s the CPU going to be? Maybe get three different numbers like that. Then, for maybe, 2500. [+] What’s the lead-time? Lead-time means how long does it take from the time I make a deposit (usually it’s 30% to produce this product) until the time it’s actually finished in production. If you ask about the lead-time you can expect, you will collect this from a couple of different suppliers. Then what you can do is you can compare these times. But more importantly at this stage, you can look at the average of each. So you can see, roughly, what the CPU will be, what the MOQ will be when you do full private labeling, and what the lead-time will be. This is important for you to know, because it’s going to factor in with the next step, which is projections. So you can literally see what your expected profit margin will be. And you can especially see what will it be right at the beginning, and then how will it evolve over time when you have bigger orders. So we will look at the data we collect to find the average numbers, which we will use to estimate what these numbers will end up being when we actually source the product. Of course, take into consideration, again, the quality of the product as much as possible during this stage also, because pricing can be much lower for cheaper versions than what you would want to source. So don’t use that in your math, of course. The next step is to calculate the most important number here, which is COGS, and that means cost of goods sold. You need to know this number here so you can do the projections. Let’s say our presumed selling price is 30 bucks, for this example. By the way, this presumed selling price is just what we’re looking at on Amazon as the average for this kind of product. Let’s say that’s $30. Then there is our selling on Amazon fee if we use FBA (which I recommend you do, and you will usually do this at the beginning). There is a calculator that Amazon provides called the FBA fee calculator that you can look at, for example, to figure this out. Just put the numbers in there for the product. You want to see what that is per unit. You need to factor in the Amazon FBA plus the Amazon selling fee – there are two different fees. Amazon selling fee will be charged whether you’re shipping it from your house when someone buys it, or from your warehouse. But if you use FBA, there’s also an FBA fee, which is still going to probably be much cheaper than if you try to do this yourself, and way more scalable and better for you to build the business. So the fee per unit is most likely about 30% in total, so for a $30 product, $9. Now we can calculate our estimated COGS. So let’s say the cost of the first order is 2,500 units – the entire first order. And we’re ordering 500 units. Now, the estimated cost of shipping by air, let’s say that’s $1,250. Of course, you can ship it by sea, which you probably don’t want to do at the beginning, because it’s too slow. But once you started to get into the groove with this product and scale it, the cost to ship this many products could be $200 or less. But at the beginning, if you do it through air, it might be this high. Now, first, there’s actually a mistake here in the slide above. It should say 500 times $9, not 4.5. So 500 times $9 is $4,500. We can estimate our COGS, or total cost of goods sold, for all of these, for this order. What does it cost per unit in this order? And this is a pretty large order, by the way. You wouldn’t be paying this much when you’re starting out at all. Not even close. But if you were a bit more established with the product, then it could look like this. So when you combine all the costs for all the units and you divide it by the amount of units, we have 16.5 as our total cost for this order, or I should say each product in this order. So that’s our COGS. This is how we do it. So 16.5 is our COGS, that’s the all-critical number to be aware of. At this stage, of course it’s just estimation. We’re just looking at the numbers and estimating this based on what we’re seeing from suppliers and different sources. Please note that these numbers will improve as we sell and source more of this product. As we sell and source this product more, of course the COGS is going to go down dramatically. It could even go down to half of what this is, or more, with time. So we just need to know this initially, what is it going to look like to sell this product at the early stages? You want to make sure your projected profit margins are at least 30% on the product. When we look at this example, remember, our presumed selling price is $30, and our COGS is $16.5. This means that we have $13.5 in profit per sale with this product at this COGS and this selling price. Now, the selling price could also go up. But $13.5 out of $30 is more than 30%, right? So our profit margin is basically closer to 50% on this one right away, and it could go way up when you sell this product. It could even become almost 100%. To start, make sure it’s at least 30% in this projection. That’s really important. You wouldn’t move forward with a product if it had 10% profit margin projected. You would then want to figure out how you can improve that before you move forward, even if it’s validated. It’s not truly validated fully now, with the sourcing and everything. In the States, we’ve got a couple of options. You can choose between domestic versus foreign suppliers or manufacturers. What does this mean? Domestic refers to sourcing in the same country that you’re selling in. So if you’re selling, let’s say, on Amazon.com, that would mean sourcing from someone in the United States. By the way, “Made in the USA” is a good thing to have on your product. It’s very much in demand right now. But so is the price of those products – it tends to be a bit higher than, let’s say, those made in China, or in Vietnam, for example. If you have products such as ingestibles, topicals, foods, or pet products, I would advise you to source them locally. I think that makes sense, when you think about, it most of the time because the manufacturer should be certified within that country. They should already be meeting all the local rules and regulations, and have the documentation, the certifications and the regular inspections by local authorities in place. With these types of products, there’s a greater chance of something bad happening or accusations in terms of health and safety. Because these tend to be a bit more dangerous to sell, if you’re sourcing them from an international supplier and you don’t have the proper certifications or licenses in place, for example, that can get you into trouble. So for safety and liability reasons, as a seller what you can pretty much always do is you can ask the supplier, the manufacturer, to put your company name on their own liability policy or documentation so that you’re covered by their liability policy. In either case, when you’re doing private labeling domestically, the supplier that creates the product is more responsible than you are for damages. A disclaimer: I’m not a lawyer, so do your own research, but this is my general advice on this issue. Now, there’s a different process when you want to source from different locations. For example, China is the number one place products are made today; 95% of products that you’ll sell and resell are from China. When it comes to sourcing with China, knowing how to do it is incredibly valuable. I can tell you from experience 99% of sellers have this completely backwards, and they do not understand how to do this properly. They will simply go on a site like Alibaba themselves, which can sometimes be fine, but nowhere are they even close to getting the best pricing, lead-times, MOQs, shipping rates, and efficiency. Working with suppliers through Alibaba is just, in my opinion, an absolute waste of time and a nightmare compared to doing it the right way and the proper way, which is to actually have a sourcing agent or work with a company in China that specializes in sourcing. When you do this, not only is it relatively inexpensive, but also it will actually save you money on sample collections and on the proper sourcing process. You will literally spend less money doing it with a sourcing agent than doing it through Alibaba on your own. And that’s factoring in all the wasted time that comes with doing it on your own, and the headaches and communication issues and much higher odds of issues with the product and things like that. So my recommendation, if you do source from China or any other international country, is to use sourcing agents. Here is a picture of me in our office in China a couple of years ago. Then, below it, there’s a map that shows the sourcing locations inside of China. There are many different places, as you can see. Most products are made, though, next to Hong Kong and Shenzhen, so you could get a sourcing agent there. But there are other places in China with a lot of products, like in Yiwu, so you may want to consider what you’re selling and where that is made when you choose where to find a sourcing agent. Just a side note: we do have a sourcing program called Sourcing Profits, which this map is from. So if you’re interested in that, you can just let us know. Send us a support ticket or a message. We will let you know when the program will be available and if you can get access to this exclusive program all about sourcing, because we’ve amassed a tremendous amount of knowledge on sourcing. Again, one of the reasons I live here in Hong Kong is to be on the ground, basically, with my products, sourcing from China. Also, I want to mention that we have a Sourcing Mastermind. This is a picture from one we did last year, I believe, in Hong Kong. You can check that out if you go to SourcingMastermind.com. Every year, at least once or twice, we take a group of dedicated entrepreneurs into China. You’ll fly into Hong Kong and you’ll meet me there, and we’ll take you through everything into China and to the ground. We’ll visit factories and suppliers and master the training and learn the ins and outs of sourcing, and really getting you dialed into this process to open your eyes to how easy it is to actually source from China. I’ll introduce you to my team and everything. It’s really a cool experience, and it will change your life if you’re doing this business. We’ll even help you find a sourcing agent and everything like that. So after this trip, doing private labeling and being in this business is going to be just totally transformed for you, because now you can access things on the ground and get everything that all the other sellers aren’t getting. 99% have it all backwards, right? So you can do what the real big sellers, the big players, do, and properly source products. So, really exciting stuff. You can get a lot out of this. I just wanted to bring it to your attention. You can check it out, again, right here. If you’re interested, I would love to have you join. You’ll have to apply and make sure it’s a good fit for you, but if you come along, I know you will get a tremendous amount out of it and just become a mastermind with us personally, too. Now, let’s move forward. The final step here is the production projections. And these are just way too in-depth to cover in detail here. This is something that is really reserved for our Infinity Code students because this is truly exclusive and powerful stuff that people have paid money to have access to because it’s so, so valuable. So, I can’t just share that with everyone, but I’m going to give you, again, the high level strokes so you can understand how it works. The key idea to understand is that you can now combine your sourcing research data with your product validation data – the impressions, click-through rate, etc. – to actually project the potential of the opportunity. So, for example, there are some assumptions we can make, and when you put it all in a spreadsheet, you can just plug in a couple of numbers, and boom. Everything is calculated, from profit from ads on the search term level, to organic rank, to overall profit, revenue, and everything like that. You have all the numbers to do this math. And, for example, as far as assumptions go, it’s reasonable to assume based on our experience and data that we’ve collected that if you get ranked number one for a high quality search term, you may get around 5-10% of the search volume actually buying from you. It depends on how good your validation data is, but it’s pretty advanced how we actually do this math, so it’s really precise. But basically, that’s something you can assume. Depending on your project’s profit margins and the impressions of the search term, this could be very worth pursing. So if you look at your data, what you should be making from ads, you’re seeing if it’s profitable. And then, if you get ranked number one, how profitable is that and is it worth pursuing or not? You can now see this as black or white. Most importantly, you can compare different opportunities. This is not just looking at the data for each individual product to determine whether or not you want to pursue it and whether or not it deserves your time and energy. More important is to actually compare different opportunities you’re doing this with. It’s sort of like an IQ test. It has no meaning without comparison, right? You can do this with just one product, and you definitely should follow this process anyway. But just know that when you do this at scale, it’s even more powerful. Now, that’s it for this article. In the next one, I’ll show you step number two, which is sourcing. I hope this has all been tremendously valuable so far and that you’re starting to see how different and powerful this system is. This is the professional, real, scientific, powerful way of selling on Amazon. You really do everything you can to stack the odds in your favor, and I’m excited to share the rest of this methodology with you. (Remember: You can get full access to this entire methodology in our free Amazon Crash Course available here). Lastly, make sure to share this article with anyone who might be interested. You can also connect with us on Facebook and follow us on YouTube.